Most writers engaged in producing a novel have some wellspring of hope the work will someday see the light of day. Acclaim would be great, they think, but even publication — ah, publication! — would be a wonderful, perhaps life-changing, event. This hope of publication just over the hill is often the only thing that keeps the writer going through the long, solitary journey. In my particular case, it actually appeared as if I was in with a chance of having a traditional publisher for the book I’m about to put up on Smashwords and Amazon this November. Way back in 2003 or thereabouts, I sent the 3rd draft of an animal fantasy set in Byron Shire to one of the foremost agents in Australia. I’d been stalking this agent for years, trying to tempt her with various projects. When she accepted this manuscript without reservation, I was ecstatic, this lady handled big names like Frank Moorhouse. She loved the work, she said, and intended to send it first to HarperCollins. HarperCollins! I was over the moon. I had this crash hot agent, and she liked the novel so much she’d gone for one of the biggest publishers in Australia. Well. I waited and waited. Gradually, my excitement dwindled. After some months I rang the agent up. The head editor of HarperCollins, said the agent, hadn’t liked the anthropomorphism in the work — hell, it was one 70,000-word piece of anthropomorphism — so goodbye HarperCollins. But never mind, she’d look around for another perhaps smaller publisher. More months went by. Eventually the agent rang me up: what genre did I reckon this book was, anyway? Yes, dear reader, it was a cross-genre work. Which, if you’re an unknown novelist in Australia is akin to setting fire to your chances of ever scoring a large traditional publisher. I understand their thinking. If you’re a publisher, you can afford to take a chance on a weird, off beat novel with a well-known writer. With a writer such as myself, known only for short stories, the risk was simply too great. I then attempted to place the ms myself with small Australian publishers. After all, I did have a track record of pleasing the public with short stories, and had been fortunate enough to win a number of awards with them. Every small publisher I approached with the ms seemed to think I was writing in this fairy tale style because I could write in no other, ignoring the fact that my published stories were, in fact, rather edgy and streetwise. Two of them managed to reject me on Christmas Eve, though I’d sent them the ms many many months before. My mouth fell open when I opened those emails, which occurred in two separate years. Rejecting a writer on Christmas Eve was, as well-known author Susan Geason remarked, like something out of Dickens. So I came at last to the wild and woolly territory of indie publishing, which contains its own pitfalls as set out in my previous post . Currently, I’m working on the first set of proofs from CreateSpace – but more of that next week. (If you like horror stories, don’t forget to tune in.) After that, it’s back to the Hill of Bewilderment for more agonising over categories – Amazon allows writers two. Will it be worth it? Money wise, I doubt it very much. But it will be nice to finally hold a published copy of the book in my hands and to know it’s out there somewhere after all this time. Writing. It’s a great life if you can last the distance. Amazon KDP Select — a poisoned apple? When online bookstores began to take off, Amazon quickly established itself as the biggest dealer in the field. Sure there were other bookstores, for example, Fishpond, but they paled beside the giant Amazon. We’re talking hard copy here. When Amazon saw the trend towards e-books, it hopped right in and again established itself as the biggest retailer. Sure, there were other e-book distributors — Apple iBookstore, Barnes & Noble, Sony, Kobo, Smashwords and others — but Amazon was the biggest. A huge industry sprang up. Writers could self-publish their books and put them on many different distribution platforms. Looking good. Good for the writers, good for the e-book publishers and distributors. A nice competitive industry. Then Amazon produced the Amazon Kindle, a series of e-book readers that enable users to shop for, download, browse and read e-books, newspapers, magazines, blogs and other digital media via wireless networking (source: Wikipedia). Amazon has now launched what it calls Amazon Kindle Direct Publishing or Amazon KDP. With this, a writer can get his book published by Amazon and have it go directly to Kindle, which is grabbing a large share of the applications market with the introduction of its Kindle software for use on various platforms such as Microsoft Windows, iOS, Blackberry, MacOSX (10.5 onward, Intel only), Android, webOS and Windows Phone (source: Wikipedia). The most recent refinement of all this is Amazon KDP Select. To paraphrase this small print: While or the time your book is enrolled in the program, you must agree not to distribute or sell your book ANYWHERE ELSE. This includes your own personal blog or web site. Your title must be 100% exclusive to Amazon. If you violate this at any point during the 3-month enrolment period, or you remove your book from the program so you can distribute it elsewhere, you risk forfeited earnings, delayed payments, a lien on future earnings – or getting kicked out of the Kindle Direct Publishing program altogether. After the obligatory 3 months, your enrolment in the KDP Select continues unless you go through the process of opting out. Forget, and you’re up for another 3 months. This forces the author to remove the book from sale from the Apple iBookstore, Barnes & Noble, Sony, Kobo, Smashwords and others, thereby causing the author to lose out on sales from competing retailers. By withdrawing a title from any retailer, the author destroys any accrued sales ranking in their lists, making their book less visible and less discoverable should they reactivate distribution to competing retailers. Do authors want to be totally dependent upon Amazon for sales? New writers are desperate; they will do almost anything to sell their books. And they know that with Amazon KDP, more customers are motivated to go straight to Amazon since Amazon has this exclusive content. It’s a clever ploy on Amazon’s part. As Mark Coker, founder of Smashwords says, The new Amazon KDP Select program look s like a predatory business practice (ref: http://en.wikipedia.org/wiki/Anti-competitive_practices). Pretty soon, Amazon can use the opportunity to leverage their dominance as the world’s largest e-book retailer (and world’s largest payer to indie authors) to attain monopolistic advantage by effectively denying its competing retailers (Apple, B&N, Kobo, Sony, etc) access to the books from indie authors. Indies are the future of book publishing. In the US, in the last three months of 2010, Amazon’s sales of e-books surpassed that of paperbacks for the first time. Think about this. It might pay indie authors to recognise that their long term interests are best served by having a competitive global ebook retailing ecosystem. Mark Coker recommends an author distribute their book to as many retailers as possible. Many ebook retailers, all working to attract readers to books, will surely serve indie authors better in the long run than a single retailer who can dictate all the terms. 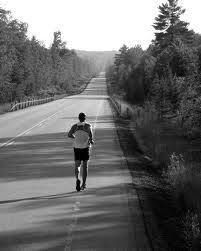 But whoever thinks of the long run? The long run is everyone’s poor relation, doomed to be steamrollered by the bullies of expediency and money. Next Week: A review of Australian author Michael Sala’s debut novel The Last Thread published by Affirm Press. With the rise of digital technology, mainstream publishers became deluged with manuscripts. Today, more and more emerging writers are taking to self-publishing as a way of getting their work out there. Below is one writer’s journey into publishing with the UK Arts Council funded site Youwrite on. It’s a happy story. After 11 years I’ve finally cracked it, I’m published. Okay, not in the usual sense with an agent and publisher, but as a self-published writer. I’ll cut to the chase and give you the facts. Nearly 2 years ago I paid £58.99 (A$89.77). With this fee I’m published, and printed by Lightning Source, who have Print on Demand (POD) facilities all over the world, including Melbourne (important for me, as I’m in Australia). My book is beautifully presented in paperback, glossy cover, good quality paper and lovely, easy-to-read font. Recently I paid £34.94 for 6 of my books in hard copy; that comes to about A$5.50 per book, and that includes postage! All other authors: £88 UK. FeedARead’s distribution service places your book into the world’s most comprehensive distribution channel. With over 30,000 wholesalers, retailers and booksellers in over 100 countries your book will gain the maximum exposure possible in the market today. This includes your book being available to order through all of the following: Amazon and Barnes & Noble (US); Amazon, WHSmith and Waterstones (UK); Amazon Europe; and TheNile.com (Australia). Your share of the Kindle Owners’ Lending Library (KOLL) Fund is calculated based on a share of the total number of qualified borrows of all participating KDP titles. For example, if the monthly fund amount is $500,000 and the total qualified borrows of all participating KDP titles is 100,000 in December and if your book was borrowed 1,500 times, you will earn 1.5% of $500,000 (1,500/100,000 = 1.5%); that is, $7,500 in December. The sudden rise in sales happened AFTER I joined the KOLL. I believe that, had I not joined Prime, FINDING VERONICA would have been lost among the millions of books available. However to be fair, I have to say that I also began tweeting a few weeks ago as part of my PR program. Whether the suddden rise in my sales was due to twitter or to joining the KOLL, it’s simply too soon to know. Whatever it is, it seems to be working!